Crawley Eagles continued their unbeaten start to the season with a convincing eight-wicket victory over Haywards Heath. Skipper Imran Suddahazai won the toss and inserted the visitors on a good batting track. Jonny Phelps 38 James Austin 42 batted well to take their team to a good position at 128-3. 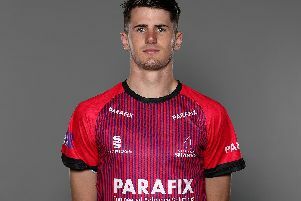 But after the drinks break the Eagles bowlers worked hard to get the breakthrough and Heath slumped to 174 all out in 48 overs Danny Hall was joint-topscorer with James making 42. But it was the pace bowling of Atif Ali 4-43 and Rilwan Mohammed 3-28 that ripped though the batting line-up and restricted the total which at one point was looking to be well over 200. With a new makeshift opening partnership due to the absence of regular opener Amaar to illness, meant that Tayyab Mahmood (90) partnered Azam Riyard (76) they went on to ensure that there was no repeat of last week’s batting collapse as they shared a 164-run opening partnership to help the team to their third victory of the season. Captain Imran said: “Atif and Rilwan bowled really well at a crucial time in the game to help set up this victory on a good batting pitch it was looking like we would be chasing 250 plus. On Saturday Eagles travel to Rottingdean, 1pm start.